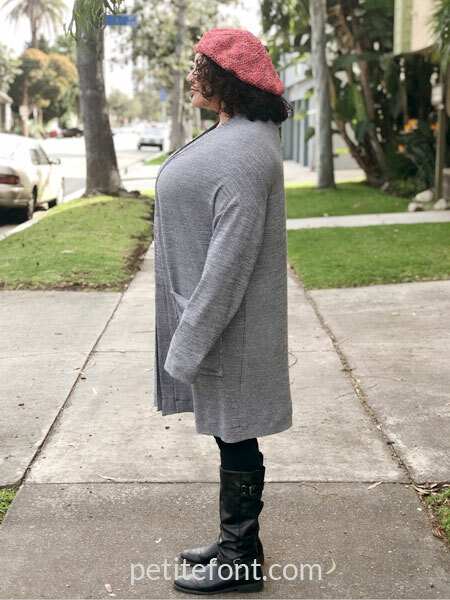 The Style Arc Como Cardigan was one of the Project #SewMyStyle2019 patterns of the month for March. I created a 2-part sew along that you can find here. Let’s give the Como cardigan pattern the full review treatment, shall we? This chart is actually the finished pattern measurements chart. It’s also very long (you might have to scroll across the screen) but inclusive of Australian sizes 4-30. This is equal to US sizes 0-26 (there is a conversion chart on the site). Interestingly, the actual size chart is hidden further down the page in a drop-down menu. 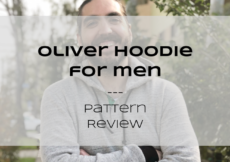 When researching the pattern, I found very little info and few reviews about it online. 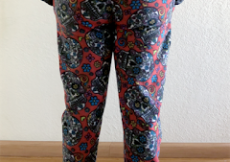 I asked one of my sewing groups about it and still no one had made it, and I never found a plus size example of it. 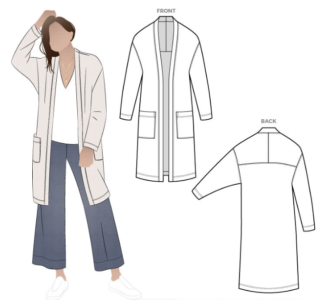 Most everyone did recommend sizing down 1-2 sizes as they had found Style Arc patterns to run large. My bust size put me between a size 20 and 22, and my hips at an 18. So I chose the size 16. Suggested fabrics are wool jersey, baby wool, and sweater knits. Wool jersey can run the gamut from cashmere to poly-wool blends. Baby wool, on the other hand, was quite the head-scratcher. I asked a group of sewing peeps if they had ever heard of it, and was given some lovely but misguided advice about acrylic yarn used for knitting. Carly of Style Arc finally dispelled the drama by letting me know it’s an Aussie term for a very soft stretchy jersey. 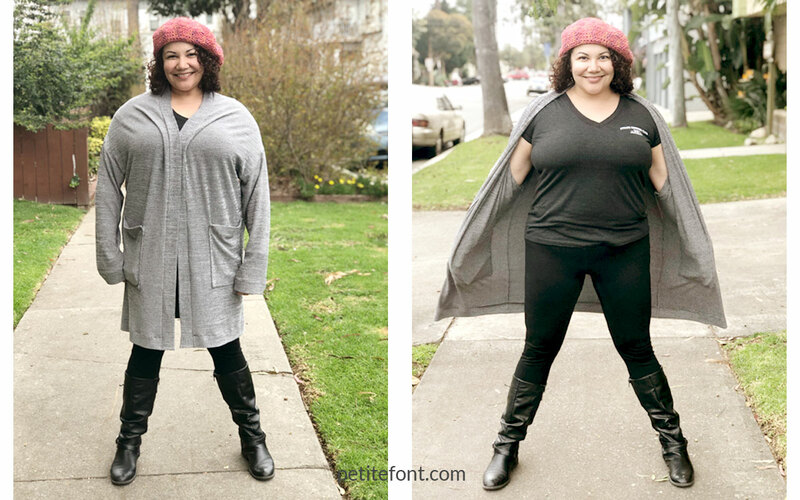 I used a ribbed cotton spandex fabric that I’d had in the stash for at least a year (yay for hitting a #makeyourstash objective!). It is very stretchy. There is no stretch percentage given for this pattern. I’d recommend that the more stretch your fabric has, the smaller size you choose. Style Arc patterns are peculiar in that there are separate PDF files for each size (they’re moving away from this into nested sizes in newer releases). You might find this with some older patterns in other indie companies’ catalogs (Sinclair Patterns’ older and retired patterns are like this, too). This can pose a challenge for anyone who doesn’t fit in a straight size. However, if you order a PDF through their website, they generously send you three sizes: the one you chose, and then the next size up and down. In 3 separate files. As I received the pattern for free, I only received one size. 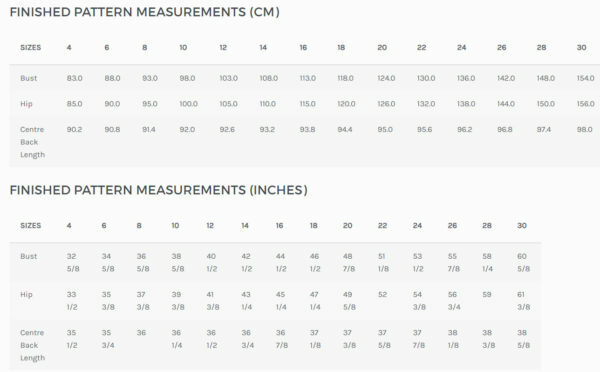 All that to say you have to be very clear on your sizing when you order a single-size pattern. The actual printed pieces have red borders and blue triangles for matching sides together. The grainlines, darts, and such are all printed in black. Seam lines are printed as dashed lines. Notches are small rectangles along the cut lines. Foldlines and grainlines are represented by straight black lines only (no arrowheads). *As for A0 sizing: the file is setup to print on a 36″ (or wider) paper, so it’s not strictly A0. I’ve avoided Style Arc for this long because I’d heard the instructions were basically non-existent. They are indeed brief and not geared towards people just learning to sew. As a confident beginner/intermediate sewist, I can still appreciate the pattern companies that cater to the newbies. Style Arc patterns are simply intended for people who do not need their hands held. There are few diagrams, and the instructions are the bare bones of information. But they aren’t hard to understand. Though that is what motivated me to create the step-by-step photo tutorial. It isn’t a difficult pattern but can be intimidating if you’re used to photos/illustrations or are a visual learner. The pattern doesn’t specify any notions but I would recommend Wonder Tape (or a glue stick!) for attaching the pockets. 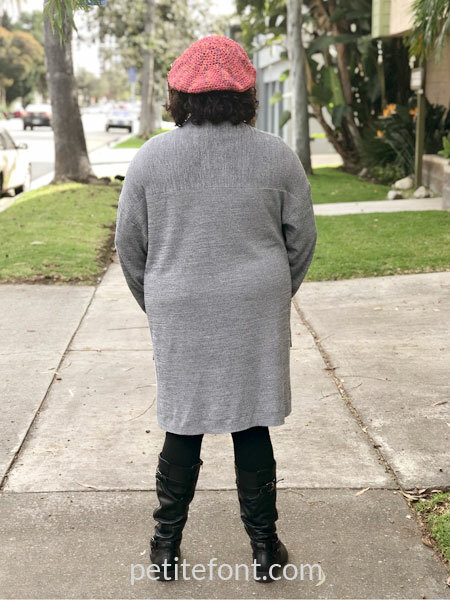 Because of the interesting manner in which the pattern is constructed (the back yoke and front piece are all one), I couldn’t determine how to make my typical adjustments. So I didn’t make any! That being said, I should have sized down at least 2 sizes for this fabric and shortened it about 3″ (7.5 cm). He didn’t mean this as a compliment. Ouch! I feel like it grows on me every time I wear it. And not in a fond sort of way, I mean it literally gets bigger every time! Because the shoulder seam is a dart, I didn’t think to stabilize it, but I probably should have. It’s going to stretch out, sadly. The arms are about 4″ (10 cm) too long, though that’s probably due to the drop shoulder falling so far down my arm. I’m considering adding a cuff to see if that helps. Fans of Style Arc LOVE them. They really have a devoted following. Unfortunately, this didn’t work for me. Maybe if I’d made a smaller size, or used a more stable fabric it would fit better. Quite frankly, I’m just not a fan of the silhouette, and I’ve established that I don’t look good in oversized clothing. Have you made any patterns by Style Arc? Post a link in the comments to your garments so I can check them out for future inspiration!